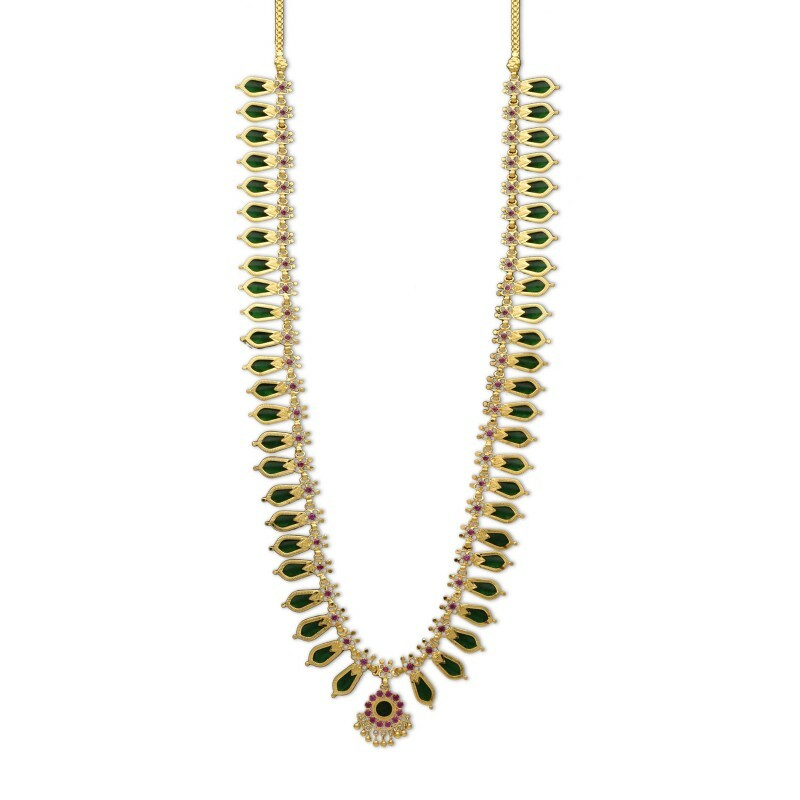 This classic Green Nagapadam Long Chain / Haram is traditional South Indian Kerala Jewelry. 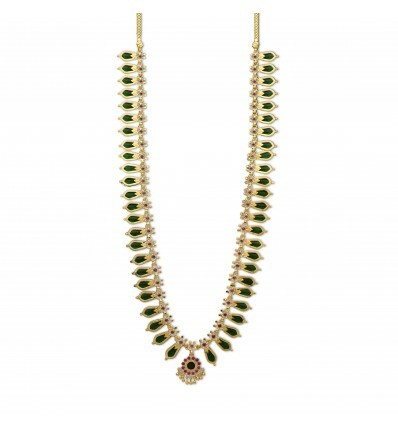 Classic green Nagapadam mala is adorned with Magenta stones. 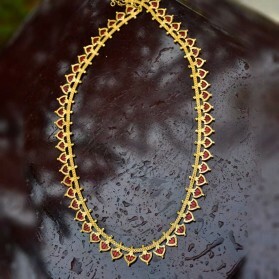 It is suitable for women on any occasions like Marriages and engagements. 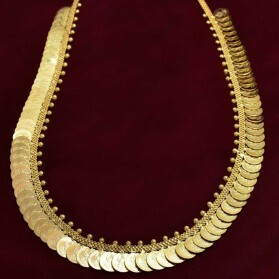 By buying this product you can collect up to 411 loyalty points. 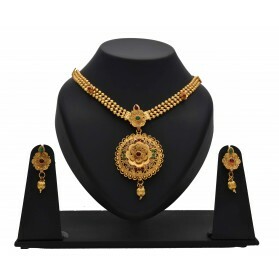 Your cart will total 411 points that can be converted into a voucher of ₹ 82.20.